Welcome Networks Inc. 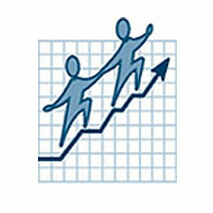 Welcome Networks has been helping businesses like yours with advanced IT technology solutions since 1999. Starting by serving businesses in the Greater Vancouver of British-Columbia, we have expanded our services to extremely happy clients all across Canada and USA. We are exclusively focused on the small to medium size businesses (5 to 200 users), accounting firms and law firms that need offline or online tailored IT solutions according to their specific needs. We have seen consistent growth since inception due to superior customer service & prompt response time. As your IT services provider, we monitor & manage your servers, workstation, data, install patches, software updates, upgrades, and equipment, as well as provide technical support on all hardware, software and user related issues. Our solutions provide scalability, flexibility, and simplicity allowing our customers to leverage our IT expertise. Businesses and organizations both big and small are taking advantage of our service in order to maximize efficiency, reduce cost and obtain an unparalleled level of security and data protection. We are hardware and software independent and don't markup on hardware and software recommended for our managed service clients. "I have been working with Welcome Networks for almost two years. I can say it is the single best thing I have done for the infrastructure of my office. Period. I no longer have to be the in-house IT guy and I save a ton of time and money every time a PC or staff member turns over. Their support team is awesome. I can honestly say Welcome Networks frees my time to do the things I enjoy and the things that make me money." Welcome Networks Inc developed a partnership with Dell, Microsoft, VMware & Citrix (the industry leader in desktop and application virtualization) to deliver private cloud hosted solutions. Our cloud technology platform "5N3 Cloud" based on enterprise grade servers & storage systems operates on a pay-per-use model, helping companies cut costs as they do not have to invest heavily on infrastructure. Dedicated to providing reliable, exceptional service and flawless security, 5N3 Cloud allows businesses and accountants spanning multiple continents to utilize application hosting to access their data anytime, anywhere from any internet connected device. Your private cloud is deployed on the clustered enterprise-class Dell systems that will deliver a virtual environment with the speed and reliability you may not have seen before. Feel free to call or email us and we can recommend a solution based on your needs. We can design or build a complete physical or virtual private environment for your business. At the end you will have seamless technology, security, and reliability that you deserve by working with the EXPERTS.